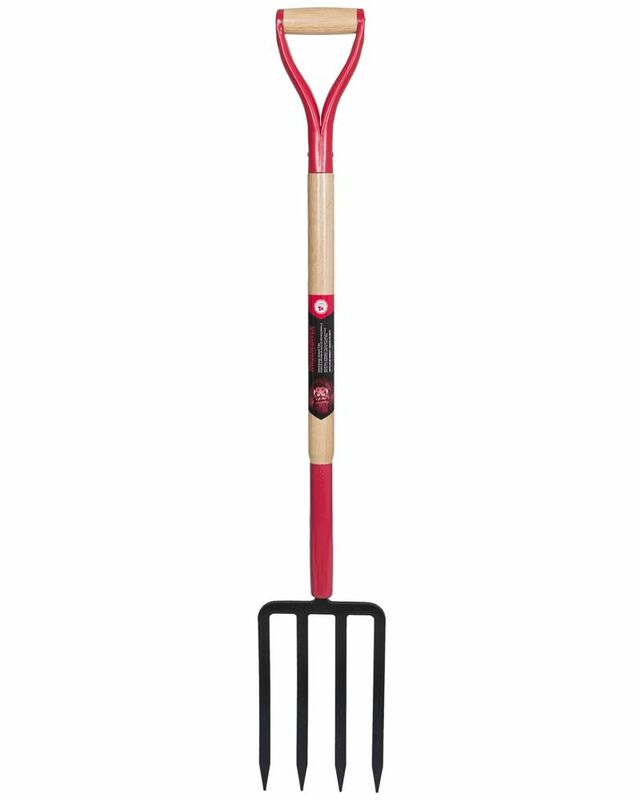 Razorback Spading Fork is rated 1.5 out of 5 by 2. Rated 1 out of 5 by Timm from Snapped in half on first use Razorback brags about how strong the wood is that they use in their handles—the handle on mine snapped in two the first time I stuck it into the ground!! The soil I was digging wasn't hard, and I hadn't even put any leverage on the fork yet. I couldn't believe it. I spent the next half hour digging the soil with just the fork and no handle, because I didn't have time to go back and buy a replacement.